Everybody wants to know if eCommerce will hold the crown in 2019 or there’s something even hotter cooking up. The answer is yes and yes, and of course there’s a catch (or two!). To help us read through all the nuances, we asked 16 of the industry’s absolute best minds to share their scenarios on the 2019 affiliate marketing trends. Native Ads and Push Notifications ads are set to dominate in the coming years. Native advertising has been effective for affiliate marketers in the past and will remain an important asset in 2019. We should expect some improvements on the tech side, and better opportunities for ad targeting. Native ads let you access your target audience on numerous websites and ‘find’ the users that can’t be reached via Facebook or other means of advertising. But at the same time, moderation will become tougher. Only high-quality, unique content for specific audiences will bring in results. Push notifications proved to be a straightforward format, suitable for new affiliates with low budgets. Despite the drop in traffic quality and the increase in price, push notification will still remain one of the top formats in 2019. It’s especially effective for those who have collected their own databases and aim to deliver the most relevant content and offers to their specific audience. It is a really good trending format, but huge competition and possible regulation will likely limit its effectiveness in the near future. Whatever the case is, right now it’s the best time for push ads. You’re better off jumping on this train, than risk missing out. Evergreen verticals like dating, gambling, sweepstakes, Nutra, and finance are still going to be around. But affiliates will have to be more creative in building up their funnels. Just make sure you stand out from the crowd. Push notifications traffic is all the rage right now. Even newbies are finding success. Test offers on pop traffic first for cheap, then scale the best to push traffic. Audiences you can reach from push traffic networks are broad, plus they’re getting hammered with notifications. Build your own (targeted/niche) audience and send your own notifications. You can use OneSignal or hire a dev to develop a custom solution. Build a custom sales funnel equipped with upsells and downsells for your best-selling products to maximize front-end profits. Focus on nurturing your mailing list. If you don’t have a niche site, at least segment your audience by demographic into separate mailing lists to better target them. You spent a pretty penny to get these people into your funnel, so try to monetize them again and again. Sell in geos that don’t use credit cards. That way you avoid most of the competition. Hire good sales people to man the phone lines. Find a local fulfillment centre to store the goods, and a courier that can deliver and collect the funds on delivery (COD). Don’t just focus on Facebook promotion! Also, try Adwords and Pinterest. List-building has been around for as long as internet marketing has. Now that paid traffic has gotten more competitive and expensive, repeatedly monetizing the same audience you’ve paid for makes even more sense. Email isn’t the only channel! Facebook messenger (+chat bot) and push notifications (OneSignal etc.) are worth testing as well. Seek out the best websites in your target niche, observe how they get you into their funnel, opt-in yourself to see how they monetize and do something similar. Seek out the best forums in your target niche, identify pain and pleasure points, and products and services that are helpful. Integrate these into your promotion. Push will still be a strong area for part of the year and it will then fade a bit. I also see a big trend with affiliates staring to focus more on whitehat strategies. Overall, I think the industry is getting more challenging for new people to enter and only the best will survive in the long term. Push is going to dominate 2019 for sure until Chrome and other browsers try to get rid of it overnight with a policy update. Other than this, we will see more single-funnel eCommerce getting promoted as Shopify stores while dropshipping from China will begin to die out. This is because most people recognize phony brands, and they also know that if they order from any place other than Amazon, shipping will take weeks and nobody wants this anymore. It’s getting harder and harder for affiliates to compete with promoting a single offer because CPC’s are rising across the board. The biggest trend will be to start collecting email addresses and promoting offers on the back end. Lead gen is a natural fit for this model considering it’s whitehat, and evergreen by nature. A lot of guys who are frustrated with mobile pops will move over to Push. It should be good for 2019, but I don’t think there’s enough volume to sustain hundreds of affiliates in the long term. There’s also opportunity in Snapchat traffic, and branded eCommerce (not dropshipping). I think in 2019 things will just continue on the path they showed in 2018. I’d like to highlight 3 trends, although there will probably be a few more. The first one is more push traffic ran by affiliates, although this might not last the entire year. It’s promising and it can certainly work, but Google has a lot of power. Once affiliates annoy users too much, things will change again. The second trend is related to Nutra. MasterCard might have just killed Nutra rebills with their policy change for subscriptions involving physical goods. Not like the vertical was doing great anyway. This means that straight sales and COD will probably take a larger share in 2019 than they had in 2018. Which brings me to the last trend. A model I think we’ll start seeing more of is the one where affiliates gather their own lists, whether over email or push, and then send multiple offers over time. This way, affiliates can increase the lifetime value of an impression. It’s a harder model to pull off, but you can then afford to bid higher for traffic. The added benefit of this is dealing with fewer restrictions from Facebook and Google. Not none, but certainly less! Push notification messages are a key growth ad format for 2019. ExoClick’s Push Notification format is getting great CTRs. Our BI department carried out research for Q4 of 2018 and found some interesting CTR stats related to different verticals. Now that we can use emojis in the creatives, the click-through can go even higher. Pop traffic is not dead and Push notification is the reason why! Pop traffic is far from dead due to the (heaviest!) shift we’ve seen in the last quarter of 2018. The trend is to buy pop traffic in order to gain more push notification subscribers and not just to promote offers with their LPs. I see this trend gaining momentum and going strong in 2019. The cost of US mobile pop click is at least 100 times less than what you can earn per click from your push notification subscribers. The second is obvious: push notification subscribers opt-in to receive the information and bot traffic is close to 0 which directly affects the quality and conversion rates and they turn out to be very high (compared to other formats). Having detailed stats provide you with all the necessary and, above all, accurate information. Having a tracking system allows you to use the data to your advantage. Most of all, having an automated system will make you work smarter, not harder. Providing great service is based on the relationships you create over time. Nurturing our relationships and answering to feedback kept our services in check! Coming up with new trends and creating great features follows from actually listening to our publishers and advertisers. This is one trend that will never go out of style. Regarding traffic trends, push traffic is on top. This traffic type has become a great tool of communication with users and results in the most effective lead generation. As a tracking tool representative, I can say that the demand for trackers is constantly high, but tracking is becoming more complex. Right now it is not only about conversions tracking and building simple reports. Tracking tools should be able to provide a user not only with the fastest redirect but also with advanced traffic distribution system, bot filters, landing page protection from ad spy tools. Since the parallel tracking has been introduced with Google Adwords, a tracker should be able to support a no-redirect method. Another important point is user support – it should be quick and lite. Ticket and email are things of the past. In 2019 mobile will continue to win the battle against desktop. Even with some negative tendencies, I predict push to be the hottest ad format. With native ad networks becoming much stricter in compliance, we may see a mass migration to push advertising. That said, pop volumes will likely decline, which, ironically, should result in an improvement of their quality. Despite its issues, I believe Facebook will remain at the top for affiliate traffic sources this year. My full take on where affiliate marketing is headed can be found here. Lead generation campaigns are having a good day and will continue to grow in popularity this year. Great examples are Sweeps, Coupons & Vouchers, Cash-back offers. The impressive growth of Push notifications, which shows no sign of slowing down, only supports this trend. All of them work nicely with this ad format, but it would be shortsighted to say that’s all there is to it. The rise of Push might also seem like the doom of Pop traffic until you look closer. Many media buyers are preparing their Push campaigns by testing on Pop so this format will remain very much alive during 2019. Something that we’ve been noticing for at least the second half of 2018, are the developments in Tier 2 and Tier 3 countries. If I need to translate this into verticals, Mobidea publishers should opt for Games, Videos, Entertainment and all sorts of Mobile Content in these geos. eCommerce is the next focus point. There were some hard-hitting regulations on automatic Nutra rebills which almost destroyed the vertical. So much so, that right now all eyes are on eCommerce. For the same reasons, Cash on delivery offers are in a much better position too. How about the “losers”? Well, crypto is headed downhill at least when it comes to ease of doing business there. It’s becoming a niche increasingly harder to enter and only affiliates with solid knowledge and experience can profit. That’s why we prefer to stay away from crypto at Mobidea. Last but not least, 2019 will be the year that the Push ad format will mature, with most affiliates exploring this very profitable traffic source, increasing the competition and, probably towards the end of the year we’ll see some policy changes imposed by Google. 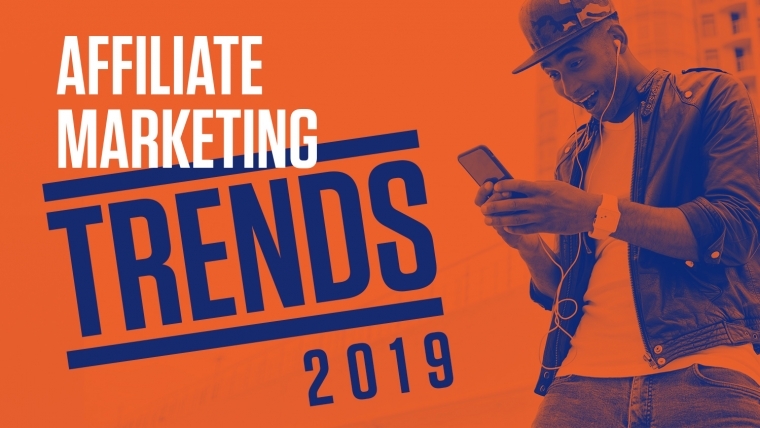 I think there’s going to be two trends for affiliate marketers in 2019. One will be push traffic, which has already gained a ton of traction, where traffic volumes keep increasing while it’s still not too difficult to profit. The other trend is Lead generation for whitehat niches using Google Ads, Facebook, Snapchat and other huge traffic sources. Snapchat will be a major focus for people who want to move out of Facebook or just want to scale their eCommerce/Lead campaigns without sacrificing quality. We believe that the trends we saw in 2018 will only get more popular in 2019. Whitehat campaigns (eCommerce and dropshipping) are taking over, which illustrates the general market trends set by Facebook and Google. State regulations on the Health & Beauty vertical are getting stricter in Pacific Asia, and as a result, the number of companies that help with finding offers on e-com sites will increase. Content marketing will be the driving force for user acquisition. Native advertising remains the most efficient solution to boost sales in the most non-disruptive and brand-safe way possible. Mobile traffic in Tier 2 / Tier 3 countries will keep growing, driving the expansion of relevant ad formats and offers. Facebook and Google will remain top sources of traffic despite constant change of the rules — affiliates and tools will adapt. We will keep seeing a boom of new tools entering the market to make the life of performance marketers easier, choice varied and budget thinner. Using those tools will become cheaper as players enter the race and will try to cut pricing, which is often the disqualifying factor. SaaS products will be on the rise gaining ground from self-host and custom made solutions. Smart products will start looking into adding different levels of automation/integration. Best products are already working on it. 2018 saw the world continue to be concerned about fake news and privacy issues magnified by the GDPR coming into force. These trends are continuing in 2019 with internet users warier than in the past. That’s why apart from big players, who already did it in 2018, more browser providers may start to require websites to use HTTPS by default. Affiliates who don’t comply may notice inconsistent data in their reports and experience huge losses. Not using SSL certificates risks massive click loss after web browsers start alerting users of potential threats. 2019 will also be a year for fighting ad fraud. Losses due to this problem are already estimated in the billions, and this number will just keep increasing. On the flip side, it will also lead to a bigger offering of solutions that help tackle the problem beyond simple IP blocking. During the previous year, AI-based technology has taken a huge step forward and become more widespread, including in affiliate marketing. In the age of big data, the growing demand for actionable insights, machine-learning tools and automation will continue to be among the most discussed topics for everyone involved in optimization processes. This year, one of the biggest trends in 2019 will be to convert existing users through mobile and desktop into new leads and customers. This will be done through the use of remarketing, by showing cross promotion ads to these users no matter on which device or platform they first triggered the cookie. The key here is to show simple and quick landing pages through mobile, and more optimized and detailed campaigns through desktop. The goal is to make sure your marketing is working for you on all mediums. In your opinion, what are the trends for this year? Share your thoughts in the comments below! As the answers begin to shape up in the coming weeks, make sure you stay tuned for a regular inside scoop here on Mobidea Academy!